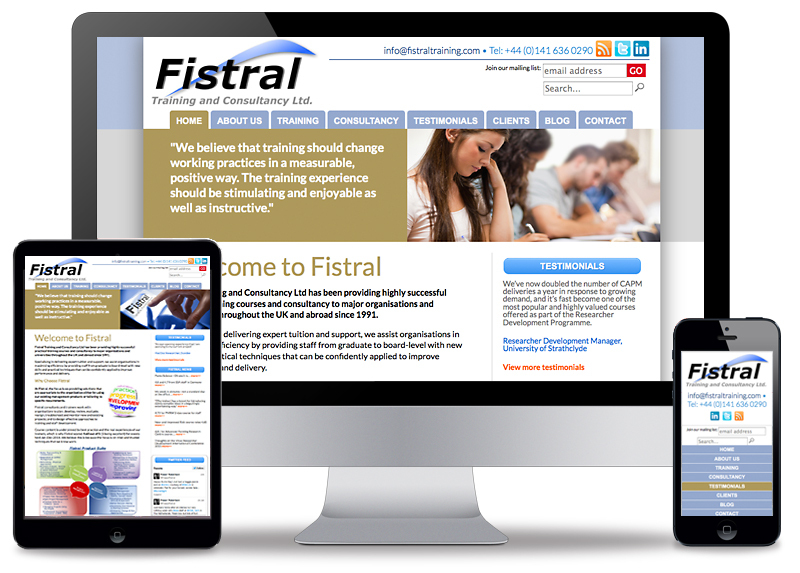 Fistral Training and Consultancy Ltd, who are based in Glasgow, have been providing highly successful practical training courses and consultancy work to major organisations and universities throughout the UK and abroad since 1991. The Fistral website is content managed and is a 'responsive website'. This means the website gives an ideal viewing experience when viewed on a desktop PC, laptop, iPad or mobile platform. This in turn means viewers see the website properly styled on these platforms. The blog section is updated on a continual basis by the client which is great for SEO (Search Engine Optimisation) purposes.